I am updating this post from the end of 2014 about setting goals. I originally wrote the post to talk about the first of the year goals but I really think that goal setting should be done all throughout the year. Especially when it comes to blogging and business goals. I’ve been much better at setting and meeting goals so far in 2015 and can only hope to start getting even better at it in the future. So I hope you will start using the S.M.A.R.T. method when setting your goals. It can be very helpful and make your goals better and the path to achieving them easier. So check out the method below and start applying it to your own goals when setting them. Hopefully it is as helpful for you as it has been for me. This week it seems like I have been hit with 100’s of posts and emails about preparing for the new year. So I’ve been thinking a lot about how to make the best plan to maximize the most out of 2015. I don’t know if you’ve heard of the S.M.A.R.T method of goal setting but I find it to be really helpful when tackling goals. I love the start of the new Year because it is so full of promise and opportunity and it’s only a matter of how we use the year that separates us from having the best year ever or a not so great year. I feel like truly bad years are typically caused by outside forces that we might not have control over getting laid off, divorce, illness or a death of a loved one makes for a bad year. We do have control over having a good great or even fantastic year though. I want my blog to really blow up this year. 2014 was a good year for my blog and it grew more than I expected but now I can see where I want it to go, so I am really thinking hard about my goals for the next year. So here is how you set S.M.A.R.T Goals step by step. It’s not hard to do and so worth it if you want to set good goals that are worth your time and energy achieving them. So the S stands for specific. A specific goal has a much better chance of completion then a general goal. So try answering Who, What, Where, When Which and Why. An example of this would be to not say I want to get healthy but to say I want to cut out fast food and have 5 fruits or vegetables a day. The M stands for measurable. You need to make sure that your goal has a specific way to measure progress towards your goal. This will help you stay focused and on track moving towards your goal. So ask yourself questions about your goal such as. How much? How many? How will I know when I’ve reached my goal? The A stands for attainable. The best goals should push you to try to achieve them but you want to choose goals that are realistically attainable. Like if you want to start exercising and don’t at all right now setting a goal of working out 7 days a week might not be attainable realistically bust saying working out 2 to 3 times a week might be the right place to start. The R stands for relevant. It’s important to set and try to achieve goals that are relevant to the grand scheme of what you want your life or business outcome to be. The T stands for timely or time-bound. You want your goals to have a start and date. If you have no time frame there is no urgency to try and complete the goal which is super important. SMART goals are the best! I use the methodology all the time (wrote about it too in my last year’s NY resolution post). What really makes this work is that the goal has to be very specific so that it can be ‘measured’. Often times we fall into a ‘general’ goal, i.e. lose weight. Whereas a SMART goal would be to lose 10 lbs. by June of 2015. 🙂 Thanks for sharing your post! I totally agree that (most) goals should have a “due date”– helps make them real! Love these SMART goals! Going to keep that in mind this year. Always good to see this strategy! I learned all these bits over the years and I think I’ve internalized them by now, but I still have trouble gauging how much I can get done in one day… and allowing myself to schedule things into the future, even short-term future. Yaitza recently posted…Workout, Dreamy Morning Oats Recipe & GIVEAWAY WINNER ANNOUNCEMENT! I like your acronyms! Especially the ‘attainable’ one! Far too often we set our goals too high and then give up because they really weren’t attainable to begin with. I’ve heard all of these before but I’ve never used the acronym! It should make it easier to remember! Thanks! Love all these goals! Great list! I totally agree and need to abide by all of these goals! Thanks so much for the pointers too. love the acronym…and a great list! Some great goals to be sure! I have my students create SMART goals every year. Love this! Chrissy recently posted…Bloggers Holiday Giveaway! I have my students write SMART goals every year. Love this! Ugh! I am so not ready to think about and set goals for the new year! But this is a great place to start! Thanks for sharing! I have so many goals for 2015 Maybe I should pay attention to your S.M.A.R.T plan before I actually commit to anything! lol. What a great system for setting goals! I’m going to have to utilize it to set some goals for myself. We use that acronym at work all. the. time! Really great to keep in mind for those pesky new year resolutions 🙂 Thanks for the reminder! This is a SMART (pun intended) way to make goals for the new year. Being specific is pretty key for me. If I’m vague with my goals, they won’t get accomplished. It’s so important for me to actually have goals that I can check off. They also have to be time sensitive. Good luck with your goals! Tiffany Khyla recently posted…Yes, Please by Amy Poehler (Book Review). Awesome tips and easy to remember. This is great! 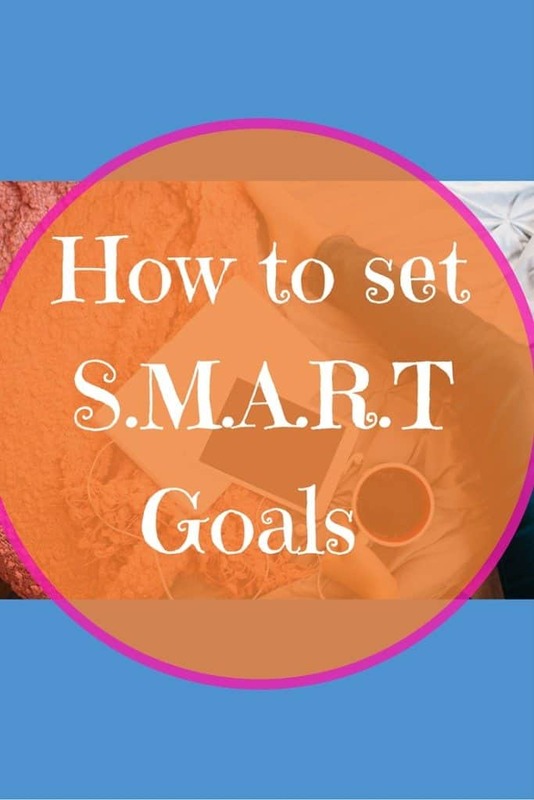 My husband is all about SMART goals and I struggle with setting ones that are measurable! This is a great reference and reminder! Thank you! Hopefully this helps us all be a little “smarter” when we plan for the next year! Thanks for posting this. I have heard about this before but definitely need to APPLY it. I am taking a week in December to figure out the goals for my blogging next year and will definitely put these SMART techniques into play. Thank you for sharing and reminding us of what we should be doing to move ahead. I’m getting ready to do my annual review over the holiday break. I’ll be thinking about setting specific goals for myself. I haven’t been too specific in the past, and I’ve done okay. Now I want to do better. That is so important to set goals this way, thanks for the reminder – I am definitely going to keep in mind for my 2015 goals for my business!